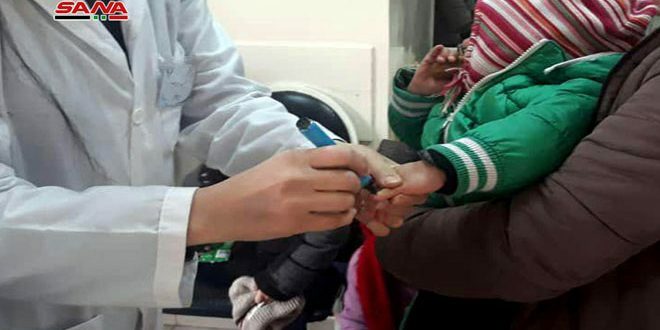 Damascus, SANA-A new national anti-polio vaccination campaign was launched on Sunday targeting children under five via the health centers and mobile teams. The campaign, which targets nearly 2.7 million children under 5, is launched through 1945 health centers and 2,600 mobile teams with the participation of 8,601 health workers and 128 volunteers. Health Ministry said in a statement that the vaccine used in the campaign is safe and effective and it is in line with the quality standards and it doesn’t have side effects. At the end of 2018, World Health Organization announced that Syria is free of polio. Accordingly, the Ministry of Health has adopted a national plan to prevent the return of the disease through continuing immunization and boosting national polio vaccination campaigns. Syria was announced polio-free in 1995, and no cases had been detected until 2013, the year in which the disease returned to the country as several cases were reported by wild poliovirus imported from Pakistan through the armed terrorist groups. 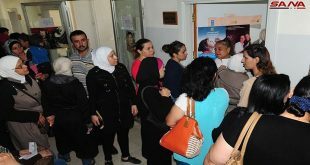 Consequently, the Ministry of Health launched a series of vaccination campaigns and succeeded to stop the virus from spreading by the beginning of 2014, where no cases were detected. 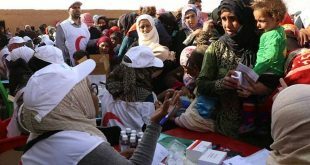 The disease returned again in 2017 after several cases were detected in Deir Ezzor. National vaccination campaigns have continued since then and reached 29 ones today.